Every parent wants what is best for their children, especially when it comes to their health. One of the subjects that are frequently discussed in media and on most parenting blogs today is the use of BPA-free drinking bottles. But what is BPA and what exactly are the benefits of choosing a BPA-free water bottle over a regular plastic one for your kid? Let’s talk details. BPA is a chemical compound that is found in a wide variety of household products that children regularly interact with. However, the most concerning products that contain BPA are baby bottles and drinking bottles. While there is much debate about exactly how harmful BPA is and what effects it can have on a person, all current research agrees that BPA can mimic the estrogen hormone our body produces in a way that could be hazardous for our health. Some bad effects of BPA on the human body include early menarche, reduced sperm counts, altered functions of reproductive organs, obesity, and increased chances of cancer. Considering the fact that children are more sensitive to BPA than adults are, it only makes sense to opt for BPA-free alternatives when buying drinking bottles for your children. Switching to BPA free drinking bottles will give you a peace of mind knowing that your children are not exposed to the risk of toxins leaching into their water. Stainless steel water bottles are a great option to consider – they do not contain BPA and do not retain flavours like plastic bottles do. This means that you can put homemade iced tea in your stainless steel bottle, just wash it afterward and refill it again with water. You won’t even remember that you had tea in it before that. Aside from being healthier, using BPA-free water bottles is also better for the environment. It is well known that a large percentage of plastic bottles doesn’t get recycled. 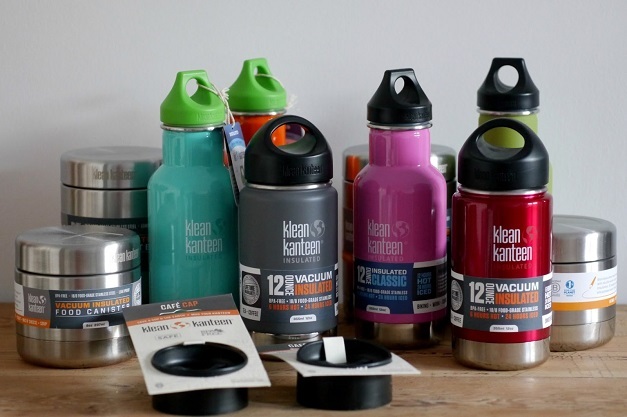 Over time, these bottles begin to leach BPA and other harmful chemicals to the environment which can be easily prevented by significantly reducing their usage. Plus, using reusable bottles will also help you save money that you would otherwise spend on buying bottled water. Many parents assume that BPA free drinking bottles are more expensive, but that is not true – they have pretty much the same price as bottles containing BPA. With all the scientific evidence against BPA products, more and more companies have been pressured to remove BPA from their products, which has led to having a larger variety of products available on the market at affordable prices.